The race is on to bring a jetpack to market. New Zealand-based Martin Aircraft has a jetpack which is due to go on sale this year and US-based JetPack Aviation is working on a more streamlined offering. So aviation junkies with the cash to spare will soon be able to get their hands on what has long been the preserve of science fiction. Jetpacks follow a long line of sci-fi inspired innovation. E M Forster’s novel The Machine Stops is often credited as a source of inspiration for, or at least a predictor of, the internet. The idea of 3D printing was foreshadowed in numerous books and, most famously, in Star Trek in the guise of “replicators”. Then you have more frivolous ideas such as the self-lacing shoes worn by Mart McFly in Back to the Future, which shoemaker Nike plan to bring out this year. Visionary and imaginative writing has always been an important source of inspiration for inventors and innovators. But success has been mixed. The genre has been mined – not just for profound innovation – but also products that largely feed the indulgent whims of the rich. Science fiction has become a source for rapid and often failed product development. Welcome to the world of jetpacks and hover boards, diet aids and useless gadgets. Some show promise. 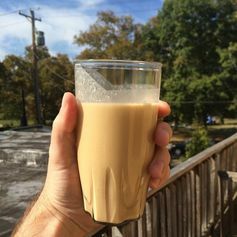 Soylent, named after the 1973 movie Soylent Green, claims to have “developed a drink that contains all the nutrients and calories a person needs”. The choice of brand name is slightly disturbing, however, considering the original film ended up with the protagonist discovering that the contents of the “superfood” Soylent Green was made from human remains. But real-life Soylent is made from soya and lentils, and seems to be a healthy alternative to traditional food. You’ve probably read about hoverboards that catch fire or explode. 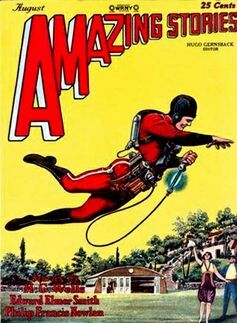 And one of the big dreams of science fiction, the jetpack, is another example of a product that has been rushed to market. Lessons may have been learned, but even the latest versions are coming in at just short of £100,000 and are a long way off the prototype modelled by George Jetson. It remains to be seen whether these clunky, overpriced products can ever be scaled to suit an accessible, affordable and more design-conscious mass market. Currently, in their haste to wow the world’s media, some spectacular public failures – and crashes – make for watchable YouTube fodder (for the wrong reasons). Instead of being truly inspired by science fiction, they appear to be product development inspired by narrow-focus marketing. One of the men behind JetPack Aviation, Nelson Tyler, pays tribute to science fiction for inspiring him to work on jetpacks. Speaking to the Wall Street Journal, he recalls listening to Buck Rogers on the radio when Rogers and his girlfriend emerged from a sleek spaceship in matching flying belts. “Forever it’s been burned in my mind,” he said. Yet Buck Rogers used his jetpack for the good of humanity. Sadly, science fiction runs the risk of becoming just another superficial marketing device. When this happens we lose touch with its true value and its potential to solve problems for the whole of humankind. It becomes, instead, a luxury for the elite. Science fiction has clearly played an important role in inspiring significant innovation. It has envisioned and inspired alternative energy, new forms of transport, breakthroughs in medical science and quantum leaps in automation – even the search for life elsewhere in the universe. “Imagination is more important than knowledge” said Albert Einstein. What’s more, there are many problems in the world that could benefit from much-needed innovation being put to good use. Frank R PaulThere is clearly a balance that needs to be struck. Much of the reported sci fi inspired innovation is, unfortunately, about gizmos for the rich. But it’s not all futuristic doom and gloom. 3D printing is now being used to create buildings and aid medical science even as its more gimmicky versions still invite us to print chocolate. Even jetpacks could be used in search-and-rescue work. 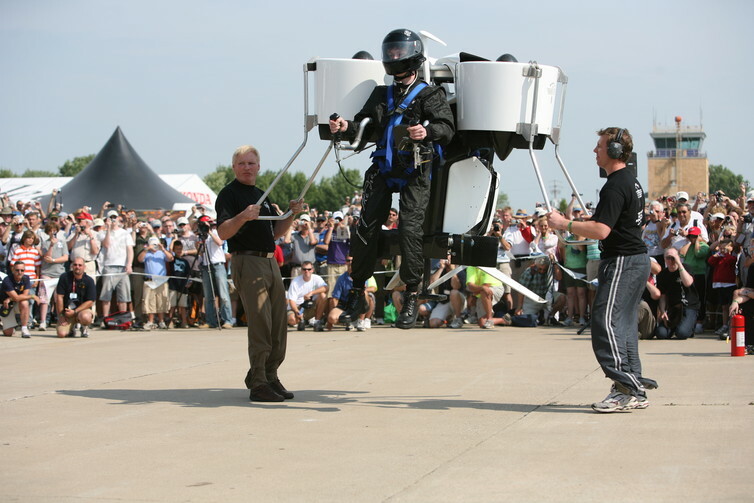 In fact, it is possible that the bulky Martin Jetpack will be used by emergency services, as well as for border security. Science fiction writers often envisioned utopian and dystopian futures. They painted pictures where technology helped or harmed us. When we draw on that genre for inspiration for addressing human and environmental problems, our innovation can be smart, simple and even life-saving. When we plunder it for new marketing gimmicks we sell it, and ourselves very short.